Kwabena is a Ghanaian Masters student currently enrolled in the University of Bonn, studying Agricultural Science and Resource Management in the Tropics and Subtropics (ARTS). He strongly believes Tropentag is an event that bridges the gap between scientists and producers, and feels that this event summarizes his study and research interests. 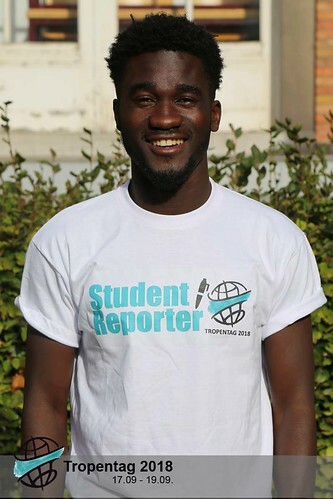 He therefore applied not just to be a participant of Tropentag 2018 but also a Student reporter. This adventurous and easy-going guy is a member of the interviewing and filming team. Kwabena says, "There wouldn't be lives on earth without Agriculturists, because they feed the world".